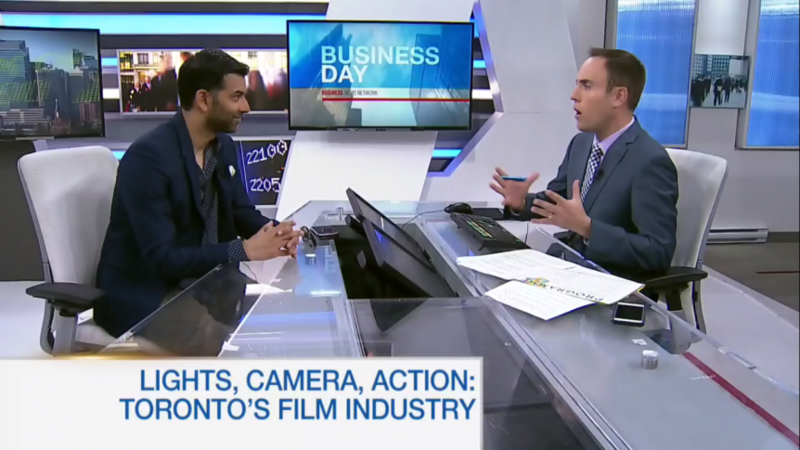 Following the success of the 3rd annual Italian Contemporary Film Festival (ICFF) Industry Day, the Business News Network (BNN) interviewed City of Toronto’s Film Commissioner, Zaib Shaikh to discuss current technological trends within the industry, as well as the importance of this creative sector to the local economy. Outside investments into Toronto’s film industry continues to be strong, generating approximately $1.2 – 1.5 billion annually through films, television and commercials. As the 3rd largest production center after Los Angeles and New York, Toronto remains an attractive hub for production processes where we are seeing longer production periods and post production work generating almost $3 billion annually. Watch the rest of discussion on BNN here. This Greybrook sponsored event was a rare opportunity for attendees to spend an interactive day at Pinewood Toronto Studios, with workshops, panels, and technology showcasing. Greybrook recognizes the cultural value and positive impacts that supporting a strong film and entertainment industry has to the communities we build in, which is why we support organizations such as ICFF, and are proud it was such a success.